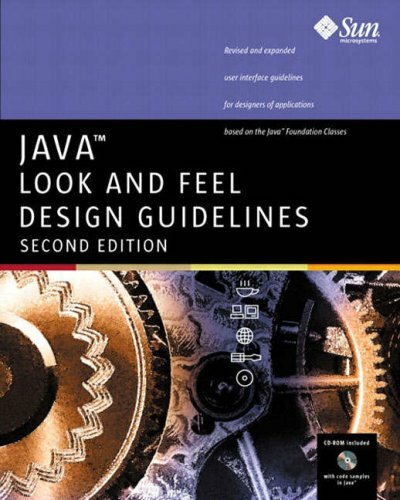 Java Look and Feel Design Guidelines, Second Edition, provides essential information for anyone involved in creating cross-platform GUI (graphical user interface) applications and applets in the Java programming language. In particular, this book offers design guidelines for software that uses the Swing classes together with the Java look and feel. The guidelines provided in this book are appropriate for GUI applications and applets that run on personal computers and network computers. This book provides complete documentation on the Abstract Window Toolkit (AWT), a collection of classes for building graphical user interfaces in Java. With AWT, you can create windows, draw, work with images, use components like buttons, etc. by by Tim O'Brien, at al. - Sonatype, Inc. This book covers the installation and configuration of the m2eclipse plugin as well as detailing some of the procedures you can use to: Create projects using Maven Archetypes, Check Out a Maven Project from SCM, Import Maven Projects, etc. The book documents the latest in native code programming for Java using the Java Native Interface with C/C++. The text is built around 'dos and don'ts', even specifying when you should not use JNI. Written for the experienced Java developer.